Prime Minister Roosevelt Skerrit of Dominica says that unless there is a security risk, controversial Jamaican dancehall deejay,Alkaline, cannot be prevented from performing in the island. Alkaline is expected to be the main act for a concert to be held at the Saaman Gardens in Canefield, Dominica, on May 2, 2015. 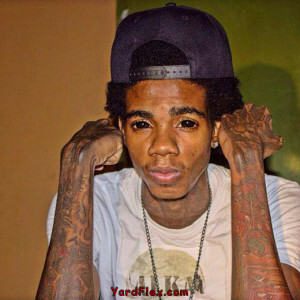 Vice president of DomInica Association of evangelist churches Arlington Wilson, last week said artiste like Alkaline should not be allowed to perform in Dominica, adding that the association will be meeting to discuss the matter. Last February fellow entertainer Tommy Lee Sparta was denied entry into Dominica. The government in a statement later indicated that this was because the entertainer was deemed to be a security risk.